Holocaust, Jewish (1939-1945) - Fiction. Jews - Poland - Warsaw - Fiction. 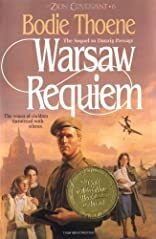 World War, 1939-1945 - Poland - Warsaw - Fiction. 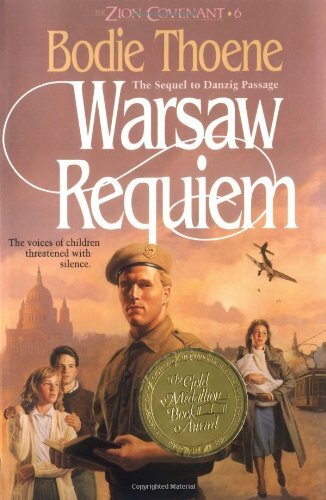 As the Shadows Close Over Poland, a Stunned World Echoes the Words, "It Has Come to This - "
Having overrun Czechoslovakia, the iron baton of Hitler's Third Reich is poised to orchestrate a requiem for Warsaw. Foreshadowing an international nightmare the world will never forget, millions are imperiled, destined to be caught and crushed in the F�hrer's grasp. Lori Ibsen and Jacob Kalner, along with Jamie, Mark and Alfie, take refuge in Danzig, hopping they will be safe there while awaiting a ship to England. Peter Wallich escapes to Warsaw, desperately seeking a place among the Jews in Muranow Square. Lucy Strasburg, about to deliver her "S.S. child," stays behind in Danzig, hoping to evade the clutches of Wolf von Fritschauer. But there is no safe place in prewar Europe. Hitler's bombers hover over Danzig and Warsaw, a dark shadow of terror and death. In London, Helen Ibsen and her sister Anna Lindheim wait and pray for the safe release of the Ibsen children. But as they wait, the sinister cloud of Hitler's wrath spreads across the Channel like poisonous gas, ready to annihilate all those who oppose the extension of the F�hrer's power. The heart-Stopping Finale of the Zion Covenant Series!